Greater surveillance coverage from fewer Traffic CCTV cameras. More traffic violations processed by less staff. 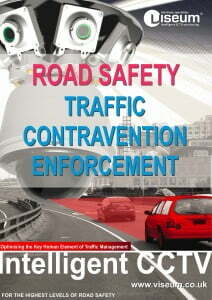 Delivering the best traffic enforcement for the safest roads. Viseum’s data analytics expertise has again overcome the numerous Traffic Enforcement System compatibility issues associated with Video Analytics Software ANPR. Also, specific ANPR cameras are usually a pre-requisite, however, Viseum’s ingenuity now allows non-ANPR-specific, analog, and digital cameras to be used to detect violations and recognize vehicle number plates with much greater confidence. Viseum’s Traffic Enforcement System operating with Viseum ANPR (Automatic Number Plate Recognition) is another key strength of the Viseum technology and gives you a wide range of security and road safety applications. Our Traffic Enforcement System already integrates with many security and business-related systems, and our strong software integration capabilities and resource allow us to customize it very specifically to meet each customer’s needs. While using our Traffic Enforcement System people and vehicles are automatically allocated to and checked against red, black and green security lists, for alerting security staff and to be followed automatically. For example, a VIP or a suspect can be followed through a city, and live reports of incidents and events are sent to the relevant security staff as either alarms or simply as situational awareness. Highway safety and security cameras are other examples of the many legacy units that Viseum Traffic Enforcement Systems enhance and advance. Working together in harmony with any number of other digital systems, Viseum can automatically detect and flag traffic flow, road safety violations, access offences and vehicle accidents, so that they can be managed in the most efficient way. 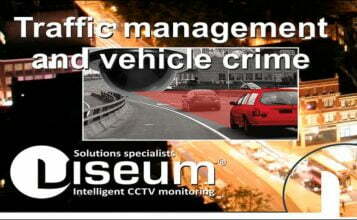 Before the availability of Viseum’s Traffic Enforcement System, methods of policing road traffic offences included the use of foot patrols with the high risk of physical conflict, manned CCTV vehicles, and complex remote manned technologies which have high capital, operational and maintenance costs. These solutions have to be used sparingly and as a result, many traffic violations, such as illegal parking, illegal turns, misuse of bus lanes and no stopping zones, etc, occur undetected. Maintaining safe roads, therefore, remains a key challenge for local authorities without the use of our Traffic Enforcement System and ANPR. 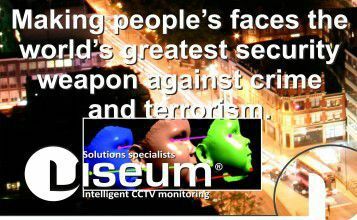 Viseum UK supplies the only Intelligent CCTV camera in the world to automatically detect multiple simultaneous traffic violations from up to 320m in any direction. It captures both high-quality close-up and wide contextual view video evidence and automatically produces it for rapid enforcement. This dual evidence of traffic violations significantly reduces, and in many cases eliminates the ability for traffic penalties to be appealed. At the heart of all our Intelligent CCTV solutions for our Traffic Enforcement System and ANPR is the patented Intelligent Panoramic Security Camera. This uses multiple fixed and one moving PTZ Camera surveillance in a single unit, with advanced software called Viseum intelligent Virtual Operator (Viseum iVOS), to detect, zoom into and follow all traffic offences no matter where they each occur. This traffic safety camera is modular, configurable to cover any targeted area or provide vast simultaneous full 360° panoramic coverage, up to the size of 4 Olympic Stadiums from just one camera installation.